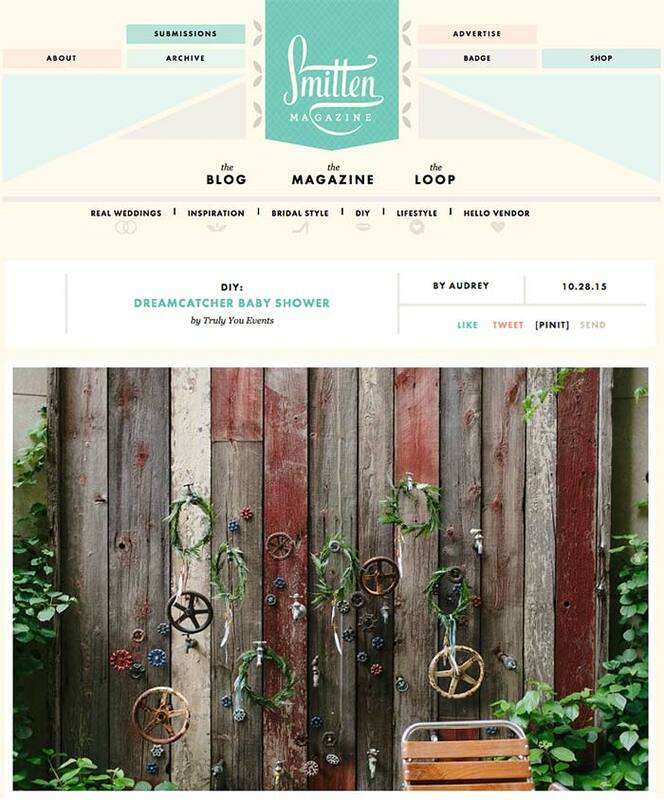 The stunning Dreamcatcher baby shower I contributed paper for in May is featured on Smitten Magazine today! 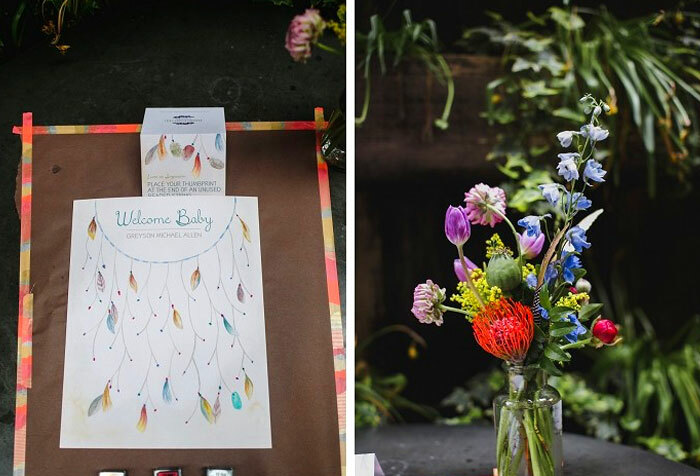 This was a dream team of talented vendors that came together and created the most beautiful, down-to-earth baby shower imagined. 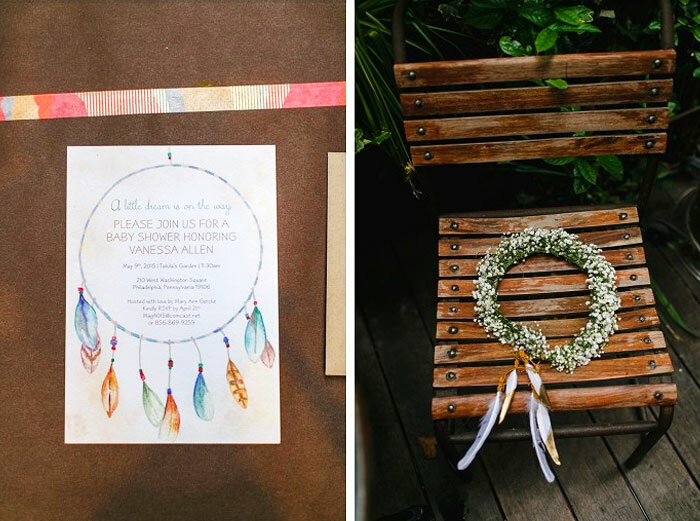 Inspired by the mother and father to-be’s trip to Sedona, this baby shower brings together adorable bohemian design elements like dreamcatchers, feathers, floral crowns, temporary metallic tribal tattoos, and gemstone necklace favors. And it brings them all together in one of the most beautiful restaurants in Philadelphia, Talula’s Garden, with all of its secret garden aesthetic and organic botanicals. Papertini did such a nice job incorporating the nature details of the venue in with the bohemian theme, in a sunny, joyful way. 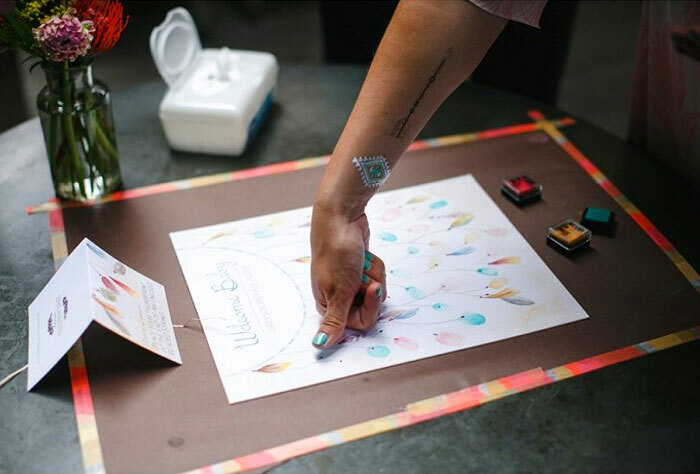 One of my favorite parts of the shower was the custom dreamcatcher thumbprint guestbook I made as a gift from the planner of the event, Truly You Events, to the mom to-be. 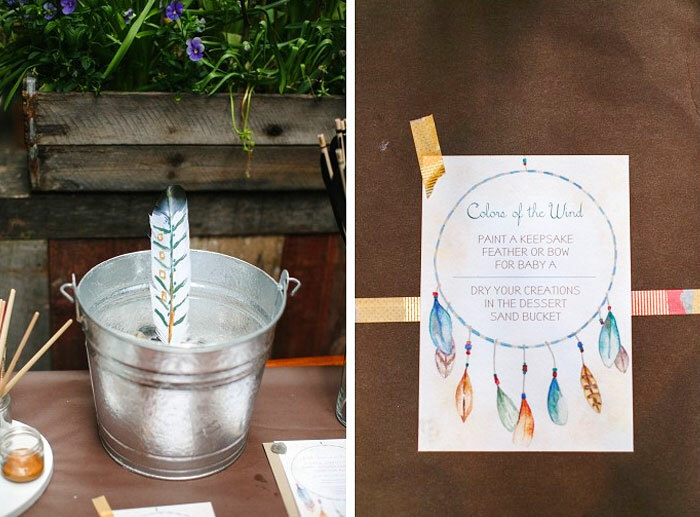 This baby shower thumbprint guestbook had 40 spaces at the end of strings for guest’s thumbprints, which mixed in with the feathers of the dreamcatcher. 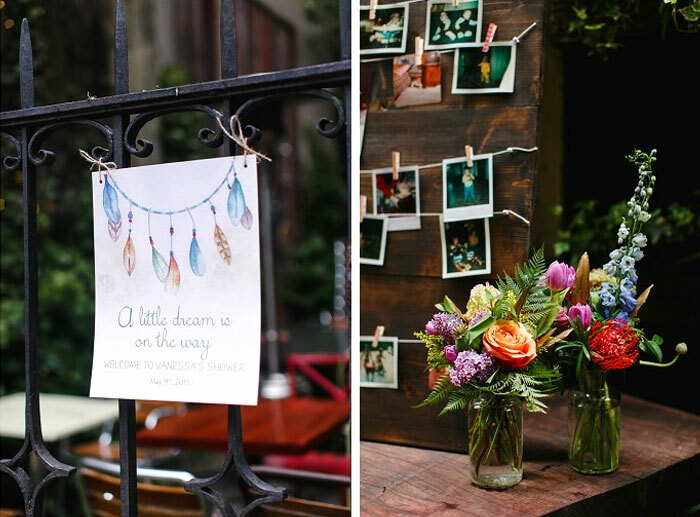 This bohemian baby shower was also featured on Hostess with the Mostess. More on that feature here.